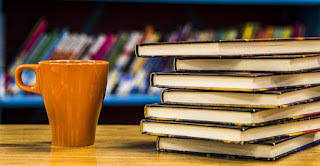 MASTER LIST: 2019 The Story Behind the Story - Don't Miss a Story - L@@K Here! And, DON'T FORGET TO SUBSCRIBE TO MY BLOG! I’m delighted to share a sub-story behind the story. That sub-story is: cumulative rhyme. I first encountered the possibility of using cumulative rhyme as a structure for writing a picture book in my critique group, where over the years, several works in progress have been posted using the This is the House that Jack Built and There Was an Old Lady Who Swallowed a Fly structures. Being a poet at heart, these structures appeal to me greatly because they are, in essence, poetry and because, while I do write in prose, I have a soft spot for rhyme. I began studying cumulative rhyme and had two works in progress using this format when I encountered the idea for the Gator. My husband and I saw a juvenile gator riding waves in a local lake and it dawned on me how larger-than-life gators are. That's when my Gator character was born! I also thought that it might make a great regional flavored book and, since I was trying to break into picture books, I thought this might be the way to go. The other two works in progress went on the back burner and I focused on bringing Gator to life. I targeted Pelican Publishing because they were regional and because they had already published several There Was an Old...books. My hunch was right and Pelican Publishing responded quickly to my query. But let me back up a bit. In order to write one of these There Was an Old Lady... parodies, I did a lot of studying. I looked at Lucille Colandro, Jennifer Ward, and Penny Parker Klostermann (a CP of mine). In all three of these authors’ works, I noticed that the MC does not die in the end and I really like the MC not dying. I also like the way that these authors changed up the original. "that galloped around at a terrible speed. putting an end to the steed’s mad antics and leading into the denouement as well. Brilliant! 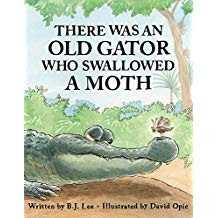 Though I experimented with various of these techniques when writing There Was an Old Gator Who Swallowed a Moth, I finally decided to go with a fairly straight-up version of the original There Was an Old Lady.... 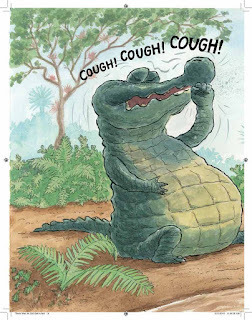 I feel that it worked best for my Gator character, and clearly Pelican Publishing agreed! Gators and panthers and crabs, oh my! The classic cumulative tale There Was an Old Lady gets a Floridian flourish in this charming adaptation. Down in the southern swamps a hungry gator accidentally swallows a moth. Of course, he swallows a crab to get the moth! What will he swallow next? The gator predictably continues swallowing bigger and bigger creatures until the unexpected happens―all over the page! 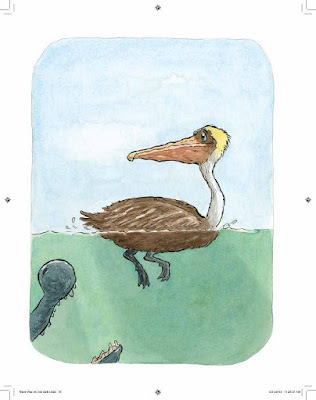 Along the way to its hilarious ending, the story― strengthened by the delightful illustrations―introduces readers of all ages to the many critters, both big and small, of the Florida swamp. 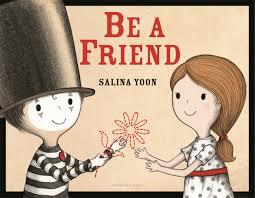 With a familiar use of repetition and an abundance of rhythm, this silly story is perfect for read-aloud experiences. Max and the bunny to be a devious duo; otherwise, the bunny hops. look forward to the creatives possibilities that come from that phrase. This time villains! I appreciate how Maximillian's unique character flaw causes him a host of icky problems. 3. Gain fame by being devious. 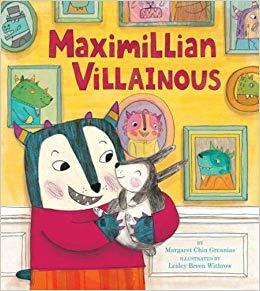 I am featuring Max and Bart and their story for Perfect Picture Book Friday. To order the Star in the Christmas Play, click the title. Keep an eye out for MOLDILOCKS AND THE THREE SCARES, coming in August, from Sterling Children's Books! Button and Bundle is a story very close to my heart. I was raised in a large, highly-mobile military family and moved more times than any young heart should bear. Some good-byes were tougher than others, but none as tough as saying good-bye to my first friend and the imaginative world we shared. We both loved dolls and made clothes and furniture and homes for them. After moving away from her, I can’t remember ever playing with dolls again. I don’t know what happened to my doll either. Button & Bundle is the story of what happened in my heart. We can mark the changes in children’s lives by what they are playing with, as well as what they are ready to leave behind. Favorite toys are often vehicles for a rich imaginative life between young friends. When children are abruptly separated, they lose this world of play too. 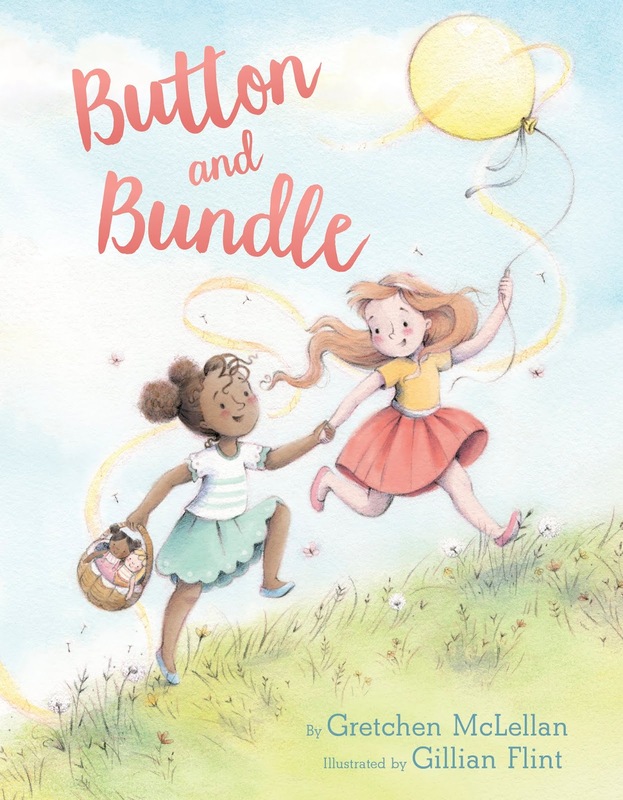 Button & Bundle shows how Button honors and finds a way to keep alive the uniquely personal world of play she created with her friend Bundle and how to move on. 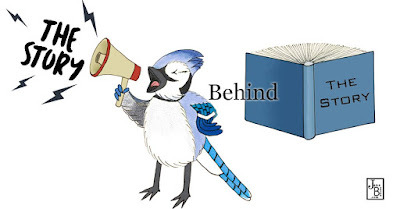 When I committed myself to writing for children, I was led by the beauty of the form of the picture book and a desire to give voice to the voiceless child. I never saw myself in print until I was an adult, not in a picture book, but in a sociological text about growing up military. That experience was profound, a homecoming and an awakening, and I pledged to give this experience to others to the best of my ability. I pledged to represent the experiences of the Third Culture Kid, particularly the military child, in literature, children who do not have a single home. 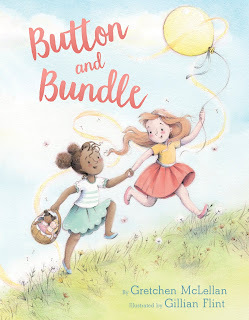 Button & Bundle is ultimately a story about the true meaning of friendship, how we learn to love from our friendships and carry this love forward. I am deeply grateful to my amazing agent, editor and her team at Knopf and my wonderful illustrator, Gillian Flint, who brought my Button & Bundle to life. Button & Bundle is dedicated to my first friend and first friends everywhere. Gretchen McLellan is a picture-book author and former elementary reading specialist who now devotes herself to writing for children and visiting schools. Like Button and Bundle, Gretchen loved dolls and making homes for them with her first friend. And like Button, Gretchen had to say good-bye to her Bundle. After living on three continents, Gretchen settled in Washington State with her husband cat and dog, stunt squirrels, and a doll or two. She celebrates when her children and grandchildren come home. And she hopes you too find a home with her in her books. 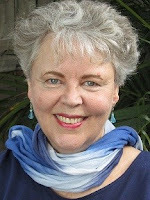 Learn more at gretchenmclellan.com and follower her on Twitter at @gmclellan5. 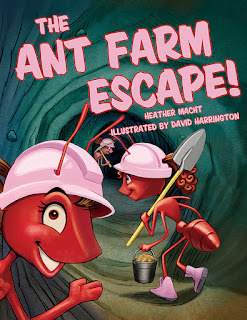 Story behind the story: The Ant Farm Escape! I typically like spending my Saturdays in bookstores or in libraries, reading through new picture book releases. Not only is it fun, it’s definitely an important part of a picture book writer’s job! You have to be aware and kept up-to-date on what’s selling and being released. One particular Saturday I was reading through construction-themed books including Mighty Mighty Construction Site (Sheri Duskey Rinker) and Where Do Diggers Sleep at Night (Brianna Caplan Sayres). Since my son, who was 4 at the time, happened to be big into bugs – including ants – I started imagining hard hat and tool-belt-wearing ants building their nests with tools in hand on the pages. I even started to hear little rhymes form about these super-strong ants! With this idea in mind, I went home and started writing The Ant Farm Escape!, and researching all about ants, because I LOVE STEM tie-ins and wanted to include some fun facts! The cool thing is, in researching ants, I found out that worker ants, the ants that do all the digging, building, heavy lifting, and hunting in their colony are ALL FEMALE! In fact, ants are a matriarchal group of insects, completely run by tough females. How did I not know this before?! Within a week I had a completed manuscript to send off to my critique group and start querying. The exciting part of this process was #Pit2Pub just so happened to be close by to my story’s completion. With that in mind, I went ahead and got my pitch ready. When the day arrived for #Pit2Pub, I pitched this, got a request from Pelican Publishing (who encouraged me to include even more STEM facts in my MS). After some minor edits I submitted the revised story to them. The rest is history! I got offered a contract on this story within a month of submitting it to them. Heather Macht is the author of The Ant Farm Escape! (Pelican, 2019), Rex the...We-Don't-Know (Pelican, 2019) and You May Just Be a Dinosaur (Pelican, 2015). 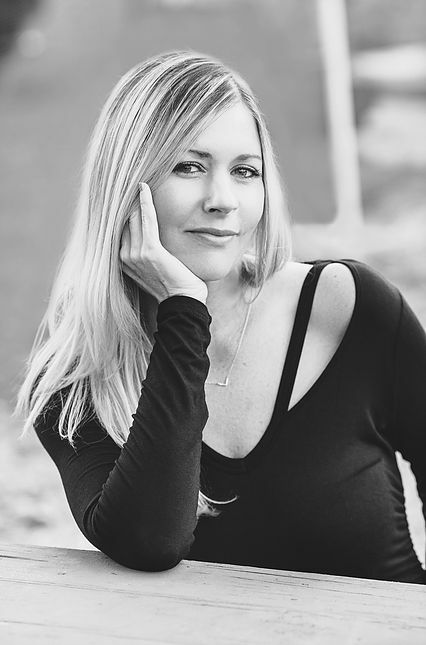 Macht has a degree in Fine Arts, is an active member of the SCBWI, and is the Assistant Administrator, the Newsletter Coordinator, and a volunteer judge for Rate Your Story. She loves spending her Saturday’s in bookstores or in libraries with friends. Macht’s happily married and currently resides in Florida next door to a quiet beach. When she's not writing, Macht enjoys painting, reading poetry, and watching scary movies with her husband and children. Morton fretted. Malentine’s Day was days away. 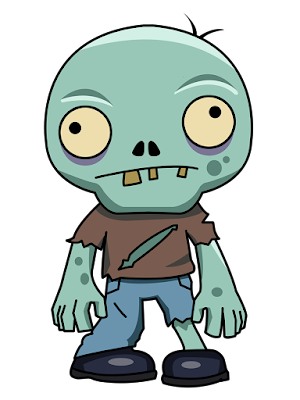 “What can I give the most monstrously marvelous teacher?” Morton asked Mombie. At Ghoul School, Morton left his gifts on Miss Phantasm’s desk. He couldn’t wait to see her eyes light up. Morton watched the doorway. Oh, no! A SUBSTITUTE TEACHER! ears and slid the card into his homework. “Hi, I’m Mr. Wolf.” The substitute passed out gummy worms and funny cards to each student. Morton groaned. I feel terrible. other teachers could be monstrously marvelous too. Morton moaned. He felt even worse. Finally Morton’s guilt had eaten away at him. “These were for Miss Phantasm,” he admitted. When my agent, John Rudolph, asked if I was a “royal watcher,” I had to admit that I had zero interest in the royal wedding of Meghan Markle and England’s Prince Harry. But John attached an article about Meghan’s rescued beagle, Guy, who went from a KY shelter to royal life in Barkingham, er, Buckingham Palace. "Think there could be a book here?" he wondered? "If so, we'd need to move ASAP." Guy's story could be a compelling fairy tale, and I was eager to write it. Most of my books feature animals, especially dogs. Animals are near and dear to my heart: I volunteer at my local SPCA and with a rabbit rescue plus I share my home with two large dogs, Bosco and Rosy, three house rabbits and one chinchilla -- all rescued. I’m not a super speedy writer, even though I started my career as a reporter for a daily newspaper; I have a tendency to spiral off course as I research and vanish down the rabbit hole. But this time I focused on the “big picture” and soon emailed “Guy, the Regal Beagle” to my agent, who loved my voice and how I “balanced the sadder aspects of Guy’s live with the happy ending.” John wanted me to write about how Guy met the queen and her corgis and add in a wedding scene, but quickly, he emphasized again, since the story was “timely and commercial.” Then he submitted it to several select editors, billing me as his agency’s “resident animal expert.” He also told me that this was the quickest submission he’s ever done (that goes double for me)! Emilia thought the story was “sweet and fun” but wanted me to tug more on the heartstrings. So I did a rewrite, followed by yet another overhaul to strengthen the climax plus the pacing in the second half. Emilia is a dream editor her comments and edits made the story much stronger. Plus she is equally passionate about pooches–volunteering for a rescue and adopting two dogs (one was featured in a video for The Dodo!). I also got to see artist samples and was super thrilled with Julia Bereciartu’s illustrations. I was encouraged to add any art suggestions (I only had a few minor ones as the artist brings her own vision to the story) plus sales & marketing loved my speech bubble for Guy and asked me to write more. 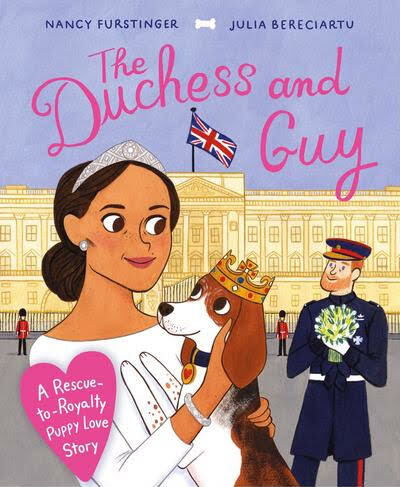 My first title was changed and a subtitle was added (and changed twice too) until we all collaborated on a winner: "The Duchess and Guy: A Rescue-to-Royalty Puppy Love Story.” And, instead of taking years like my other picture books, “The Duchess and Guy” burst on the scene January 8, 2019, eight months after I received an offer. What a whirlwind adventure! 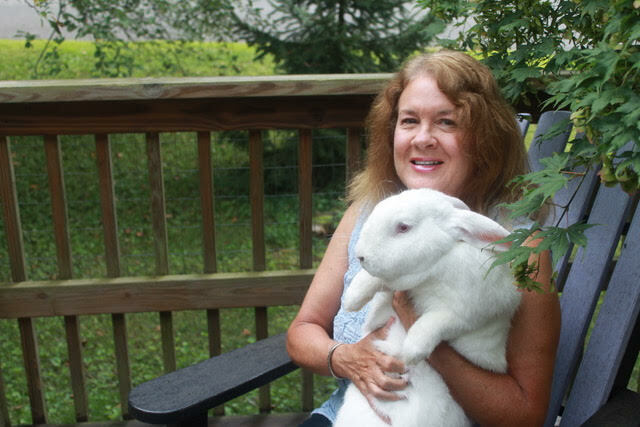 Bio: Nancy Furstinger has been speaking up for animals since she learned to talk, and she hasn’t shut up yet. She started her writing career in third grade, when her class performed a play she wrote while recovering from chicken pox. Since then, Nancy has been a feature writer for a daily newspaper, a managing editor of trade and consumer magazines, and an editor at two children’s book publishing houses. She shares her home with big dogs, house rabbits, and a chinchilla (all rescued), and volunteers with several animal organizations. 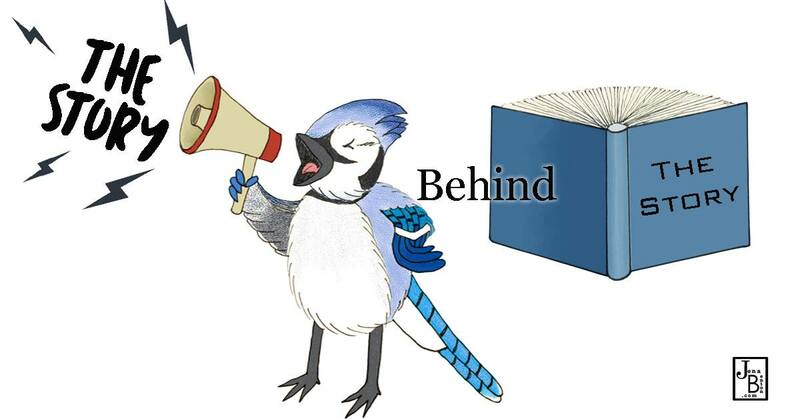 The secret of how to get published isn't really a secret. It's not just talent, although a little bit of that helps. It's not just luck, although a little bit of that can help too. It's HARD WORK, TIME and DETERMINATION. Like I said, talent and luck helps too. But talent and luck and a token can get you on the New York City Subway. See what I mean. It takes what it takes, and there's no way around it. So, HARD WORK, TIME and DETERMINATION it is! I am sure that' s not the answer everyone wanted to hear. But it's the truth. I think many of you may submit your story for critique thinking it's going to come back with just a few edits and a note saying "great to go out." I also think you may get discouraged when it doesn't. I want you to know that I hope and pray that isn't the case. So I want you all to keep a few things in mind. Let's start with this -- It often takes many, many revisions before a manuscript sells. was rather easy to accomplish. You might be saying, well, that's not an awful lot, I revised my ___ manuscript 20 times before I sent it to her! Note: Each version was one focused "revision" round with several of my many critique groups. That includes going over the feedback of from 1 to 3 critique groups of three to five people each. So there would actually be MANY revisions within each version. Based on this, each time I dusted the manuscript off and focused on it, I would save a new version. I hope that makes sense. Here's where another aspect of the HARD WORK part comes in. In college, I majored in English, with a focus on Writing for Children and Children's Literature and Folklore (also the Holocaust in Children's Literature). I started my actual journey in 1999 when I bought my first Children's Writer's and Illustrators Market Book and also joined LICWI and SCBWI, and a critique group. In 2000, I started going to conferences. I've attended classes at the New School in NYC with Meg Cabot of the Princess Diaries as my teacher, conferences on both local (Long Island and New York), non-local (NESCBWI, NJ, Hudson Valley, EPA, WPA) and National (NY/LA) and International (Spain) levels. I have an extremely, extremely long resume of magazine, poetry and book review credits that I earned before I even submitted book manuscripts. I'm not saying you have to do ANY of this, but what I am alluding to is the amount of HARD WORK and TIME I put in as well as my DETERMINATION, so, please keep reading. There's a point to all of this. Because I had an extensive background in writing for children and some modicum of talent, I was able to get into Highlights Chautauqua in 2001. I returned in 2002, 2003, and 2005. I also got into RUCCL (Rutgers University Council for Children's Literature) those years as well, all the while writing and critiquing. I published in many magazines and book review journals, but I really didn't start to submit my book manuscripts until 2005 (again, look at the TIME) and then, got sidetracked with my special needs toddler for a few years until I re-focused on getting published in 2009 and got my first contract in 2010. I am not, in any way, saying that any of you have to do all that schooling, or go to all of those conferences or take all of those classes or have a long resume -- what I am saying is the same thing I always say. 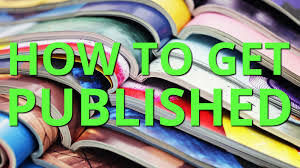 It takes TIME and HARD WORK and DETERMINATION to get published. You ARE investing in yourself and your career by getting a critique. That is great and such a positive step. 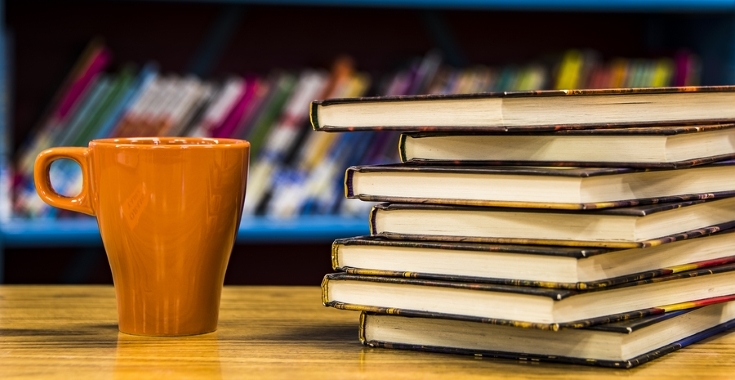 You are determined and moving toward your goal of becoming a published author. Now, continue to put in the TIME and the WORK and keep that DETERMINATION alive by considering the steps of revision and re-visioning as part of that path. Do not consider it discouragement, or anything else other than a step FORWARD toward your goal. You are bringing your manuscript where it needs to go to get YOU where you need to be. Your critique is an investment in your career. So what if there is a lot of work to be done? Do the work. Each positive revision you make is a step closer to your goal! Our journeys will not be the same. But most likely neither of us will be the extreme exception (as you can see I was definitely not) and it will take TIME and HARD WORK and DETERMINATION. So if I had one other thought to leave you with it would be -- DO NOT BE DISCOURAGED. Stay on the path. The writers who reached the Finish Line are the ones who stayed on the path and did not give up. Pick yourself up, brush yourself off. Do the revisions. Re-vision the story if you have to and drive that story to the finish line. YOU can do it! With Love and Support -- I Did This Thing and YOU CAN TOO!!!! For today's post I asked the prolific Agented and Published writers in my Write Club critique group to share with you some of their favorite *must-read* Valentine's Day Picture Books. Many of these authors have books coming out in either this year or next! 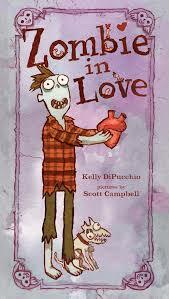 To start off your Valentine's Day picture book list, Lynne Marie, Author of Moldilocks and the Three Scares (Sterling, 8/2019) and Let's Eat: Mealtimes Around the World (Beaming Books, 2019), recommends ZOMBIE IN LOVE and ZOMBIE IN LOVE 2 +1 by Kelly DiPucchio and illustrated by Scott Campbell. 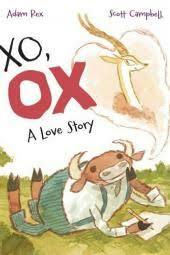 Lauren H. Kerstein, Author of Rosie the Dragon and Charlie Make Waves (Amazon/Two Lions, 6/2019): recommends XO, OX written Adam Rex and illustrated Scott Campbell and I WISH YOU MORE by Amy Krouse Rosenthal, illustrated by Tom Lichtenheld. Katie Frawley (Debut picture book, Spring 2020...details forthcoming) recommends CRANKENSTEIN VALENTINE (words by Samantha Berger, pictures by Dan Santat). 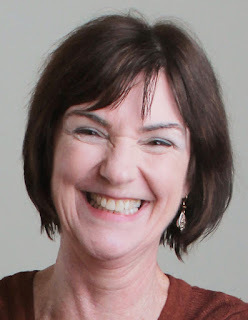 Kathleen Doherty, author of DON'T FEED THE BEAR, Sterling Children's Books, 2018, recommends SOMEBODY LOVES YOU, MR. HATCH, written by Eileen Spinelli. and illustrated by Paul Yalowitz and ROSES ARE PINK, YOUR FEET REALLY STINK by Diane de Groat. 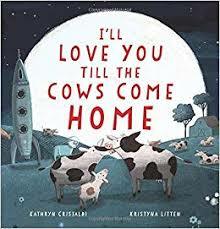 From Joana Pastro, author of LILLYBELLE, A DAMSEL NOT IN DISTRESS (Kane Press, Fall/2020) recommends I’LL LOVE YOU TILL THE COWS COME HOME by Kathryn Cristaldi, illustrated by Kristyna Litten and LOVE, Z by Jessie Sima. Evelyn Bookless, author of Captain Green and the Plastic Scene (Marshall Cavendish, 2018), VALENSTEINS by Ethan Long and THIS IS NOT A VALENTINE by Carter Higgins, illustrated by Lucy Ruth Cummins. 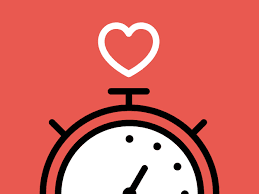 Sophia Gholz, Author of THE BOY WHO GREW A FOREST (Sleeping Bear Press, March 2019) recommends HENRY IN LOVE by Peter McCarty and AND TANGO MAKES THREE by Justin Richardson & Peter Parnell, as well as DID I TELL YOU I LOVE YOU TODAY by Deloris Jordan. Heather Macht, author of "The Ant Farm Escape," Feb. 2019, "Rex the...We-Don't-Know," Sept. 2019, and "You May Just Be a Dinosaur," September 2015, recommends GROGGLE MONSTER'S VALENTINE by Diana Murray, and illustrated by Bats Langley. Rosie J. Pova, author of Sarah's Song (2017) and an upcoming picture book soon to be announced, recommends MOSTLY MONSTERLY by Tammi Sauer and illustrated by Scott Magoon. 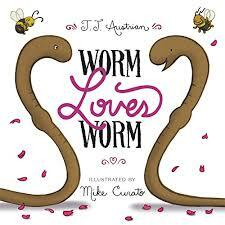 Henry Herz, author of "Two Pirates + One Robot," 2020 recommends WORM LOVES WORM written by J.J. Austrian and illustrated Mike Curato. Kelly Jordan (debut picture book, Spring 2020...details forthcoming) recommends BUNNY BEAR by Andrea J. Loney, Illustrated by Carmen Saldana. Michal Babay recommends GEORGE AND MARTHA by James Marshall and SNUGGLE PUPPY (A LOVE SONG) by Sandra Boynton. PLEASE check out the websites of these authors where you will find more information about these *rising stars* of #Write Club. And please leave a comment or a question for any one of them! Thanks for stopping by My Word Play Ground!